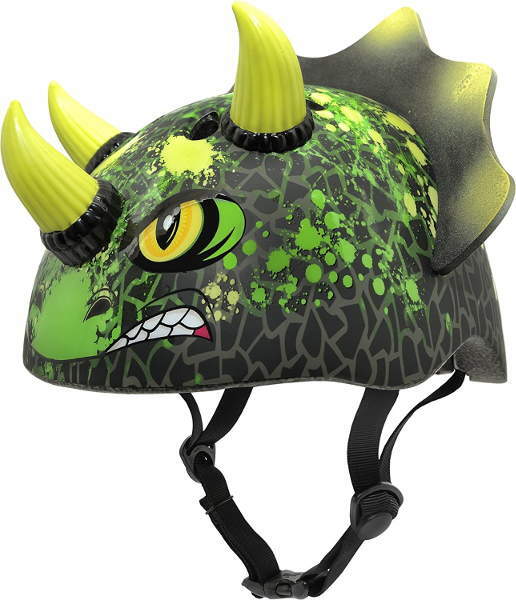 Raskulls Dinosaur helmets are so cute and well-designed that your child will fall in love with it. 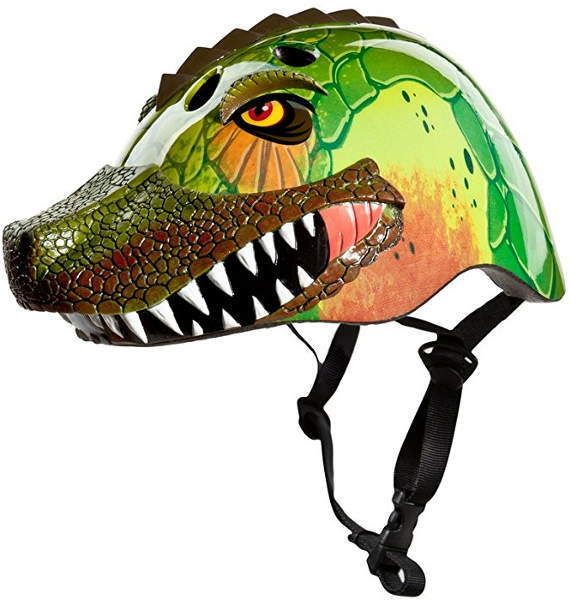 The Raskullz Dinosaur helmet solves one of the biggest cycling problems a parent faces, when your child doesn’t like wearing a helmet. So they’ll not only be safer with this helmet on, but they’ll also be the coolest, and will get compliments! The price is great, too! Check it here. Molded 3D helmet design will turn other kids’ (and adults!) heads. Shock-absorbing EPS inner shell to protect the child’s head. Aerodynamic cooling vents keep the head cool. Nylon straps adjust for a great fit. CPSC & ASTM certified: complies with CPSC and ASTM standards for bicycle helmets. This isn’t a weakness of the helmet itself; it’s just a warning: the green helmet is pictured on some websites as bright green, when in fact it’s a darkish green (olive/army). Take a look at the picture below. Please keep that in mind if you’re planning on buying the Radgon Green color. 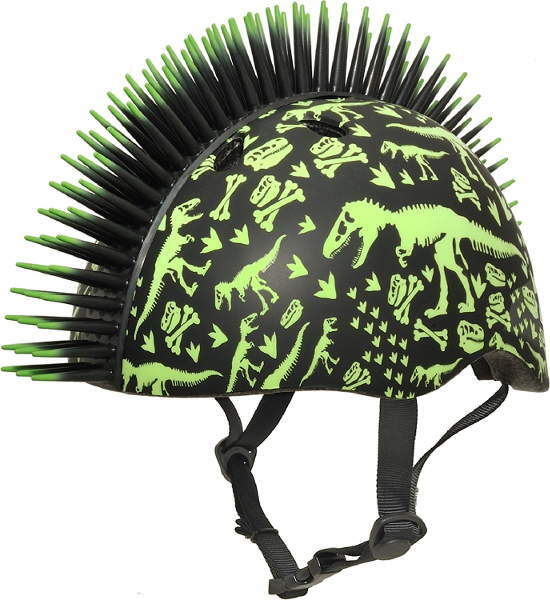 The best thing about this Raskullz helmet is its originality. It’s cute, cool or however your child might see it! 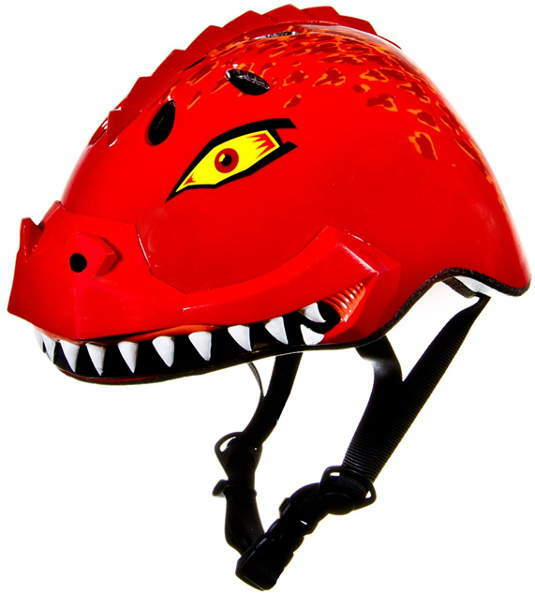 I wish I had such a helmet when I was a kid. I’d wear it now if they had an adult-sized version. People looking at me, pointing and laughing won’t matter, because I’d be the coolest adult on a bike! Safety-wise, it’s as safe as other certified cycling helmets. The 3D pieces are made of silicone rubber, so they won’t be a hazard if the rider falls. It’s comfortable, and can be adjusted to fit your kid’s head. It’s lightweight, which is very important, especially for children. Their heads are already too heavy! 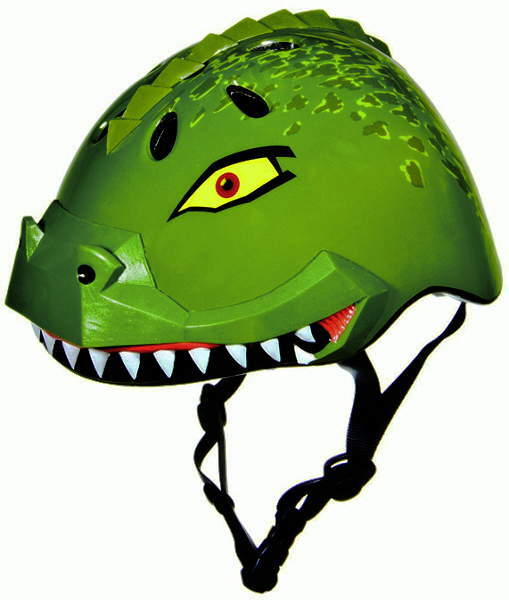 Overall, I think you’ll like this helmet. But your kid will love it! Reasonably priced, it’s a product that will bring joy to you and your little one. It will turn heads, which is always a good thing for kids’ self-esteem. Check the price and buy it here.